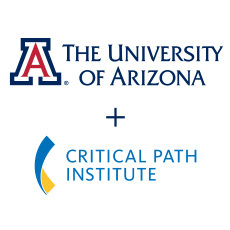 TUCSON, Ariz., March 21, 2019 — After a worldwide search, the Critical Path Institute (C-Path) today announced it has appointed Joseph Scheeren, Pharm. D., as its new President and Chief Executive Officer. Scheeren previously served as Senior Advisor Research and Development for Bayer AG and has had a distinguished 36-year career in the pharmaceutical industry having held positions domestically and internationally in drug development and regulatory approval on three continents. 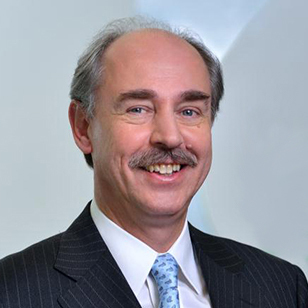 Scheeren joined Bayer Pharmaceuticals as Senior Vice President, Head of Global Regulatory Affairs, in 2004, responsible for development in the US and in 2009 became Site Head US in Montville, NJ. In 2012, he assumed the position of Head of Global Development Asia in Beijing and in 2015, was appointed Head of Global Regulatory Affairs Pharma and Consumer Care of Bayer Healthcare, Basel, Switzerland. In January 2018, he was appointed Senior Advisor R&D, Bayer AG. Scheeren’s experience with global regulatory affairs will help C-Path expand its mission worldwide. Scheeren succeeds C-Path President and CEO Martha Brumfield, Ph.D., who has led the organization since 2013 and is initiating a phased retirement. Under Brumfield’s leadership, C-Path’s funding and staff have doubled, the organization has established a Data Collaboration Center and a center of excellence in quantitative medicine, plus expanded its profile in Europe. Brumfield will serve as a special advisor to Scheeren for six months and will oversee select projects already in progress to ensure a seamless transition. Scheeren has an established network of connections across the globe and holds many memberships and designations. He serves on the advisory boards at the Center for Innovation in Regulatory Science, the Center of Regulatory Excellence Singapore, the Research & Development-based Pharmaceutical Association in China, and the China Core Research and Development Committee. He is currently serving as Board chair of the Drug Information Association (DIA) and has served as Chairman of the DIA Regional Advisory Council for Europe, the Middle East and Africa; he is also a foreign member of the Academie Nationale de Pharmacie, France, a lecturer at Yale University and an adjunct Professor at Peking University. His start date is April 15, 2019 and he and his family will be living in Tucson, Arizona.